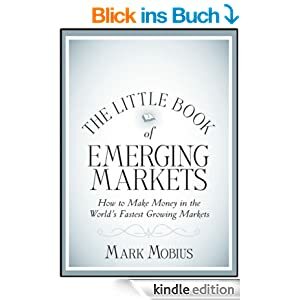 You don’t need a set of scales to tell if someone is fat, you don’t need to look at more than the clothes of Mark Mobius in order to ascertain that he is a total goose. White jacket, white pants, white tie – triple check, Colonel Sanders. I remember buying Taro Pharma off a fund he ran at $14 – it’s about $120 a few years later (although I sold at $70 or so post-NYSE uplisting). Noble words and preaching on CNBC should be checked against results. In Mobius’s case, his returns are pitiful but that isn’t a surprise. He’s a figurehead. And an employee, I might add. If you excel at investing, you don’t need a public profile. Look at Chandler for example = he and his brother turned NZ$10m into US$25b in 20 years via public investing in the stock market. No one pays any attention to him but if you ever get the chance to see his firm overview, the return numbers are far better than Buffett and Soros. Also, he did it with his own capital – no outside investors hence no marketing/OPM leverage. But, hey, no one cares about him. Probably because he lost $400m on Sino Forest (where he wasn’t actually wrong – the forests did exist contrary to the media perception – it was all in the legalities – which also means that I think the current bond holders will recover $0). If you have $25b, losing $400m doesn’t really matter. well, I would call Mobius mostly an “asset gatherer”. I haven’t followed the Chandlers but I thought their Sino Forrest trade was really stupid. The problem in china is ALWAYS the legalities. The trees, factories etc. do clearly exist, they just belong to someone else in 95% of the cases. 10000 NZ Dollar in 25 Millionen oder Milliarden USD ?